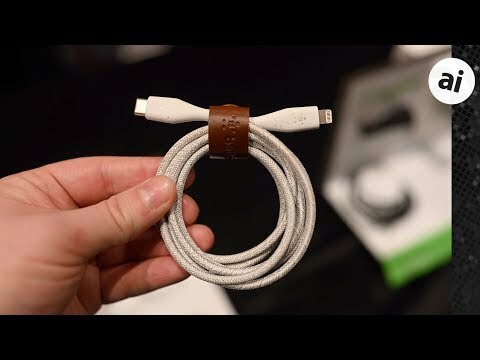 Belkin was the first to make its USB-C Lightning cables official during CES, with Griffin not long behind. 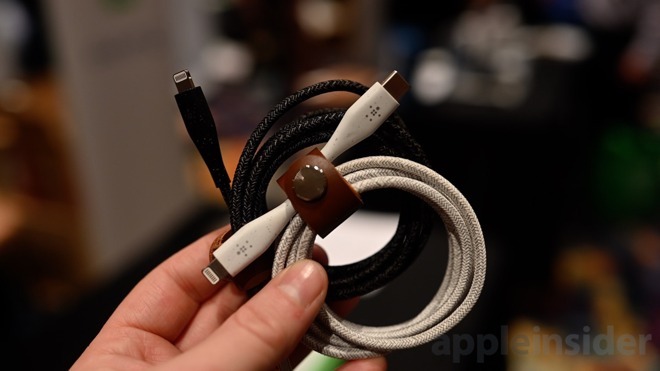 Of the two, Belkin seems to have the upper edge with its BoostCharge USB-C to Lightning cable. It uses a new material they've come up with called DuraTek to help protect the cable itself rather than a run of the mill nylon. It has a great, premium feel to it and is slightly thicker than normal Lightning cables to help compensate for the faster charging speeds alotted. Each end has a long strain relief as part of the over mold to also help durability. 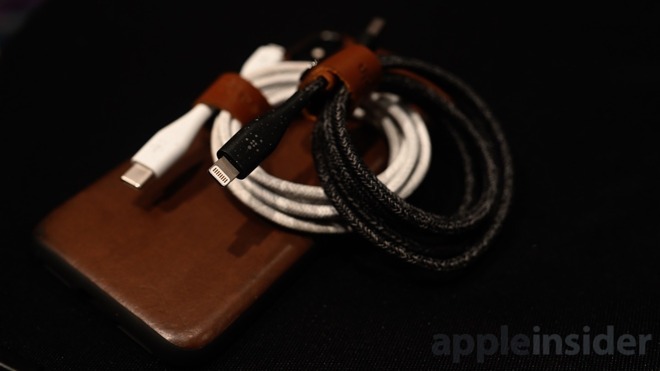 A handy Belkin-embossed leather strap is included to help make managing the cable even easier. They come in a variety of sizes and will start shipping this spring, selling for between $24.99 and $34.99, depending on length. Nice, but I'll wait until Monoprice starts making and selling them. Unless that DuraTek material can stand up to my cat’s teeth, why would I pay more for a Belkin cable than an Apple one? Different lengths and more durable than Apple's offerings are probably the most common reasons people would buy a third-party cable. I doubt there's much industry that revolves around your cat. Jokes on me. Just order regular cable and type A to Type C conerter. Most nights for the past two years I've charged and synch'ed my iPhone with a USB-C to Lightning cable (Micord brand) that works great. It's even survived multiple cat attacks. If only there was an opening sentence answering your question. Not really needed - everyone already has a standard USB-Lightning cable and odds are they have a USB C - to USB A adapter, too. The only thing this cable lets them do is get slightly faster charging times with the 30 watt USB C charger vs the 12w iPad charger that they likely already have, too. You do realise you aren't obliged to read the articles they post here, right?? But it’s not the first. Check amazon, there are tons of them. It’s a completely bogus claim.